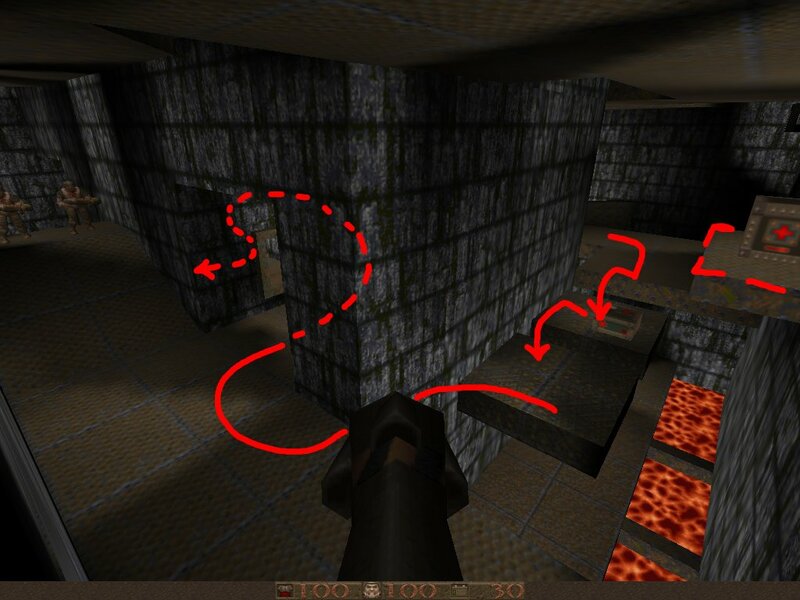 After jumping across some moving tiles, right before a hump in the floor, turn right into a corridor full of nail shooters. There is a walk-through wall, right below the hump. Shoot the switch inside, some steps appears, leading up to the big medikit next to the moving tiles.